In addition to the dozens of bird species residing on the property year-round, Smith-Gilbert Gardens lies on a major flyway for migratory birds. Each spring and again in fall, more than 100 bird species pass through and over the property on their journey between summer breeding territory up north and overwintering grounds down south. Our expert birding guides have spent years learning to identify birds by sight and sound, and have a passion for wild bird conservation. 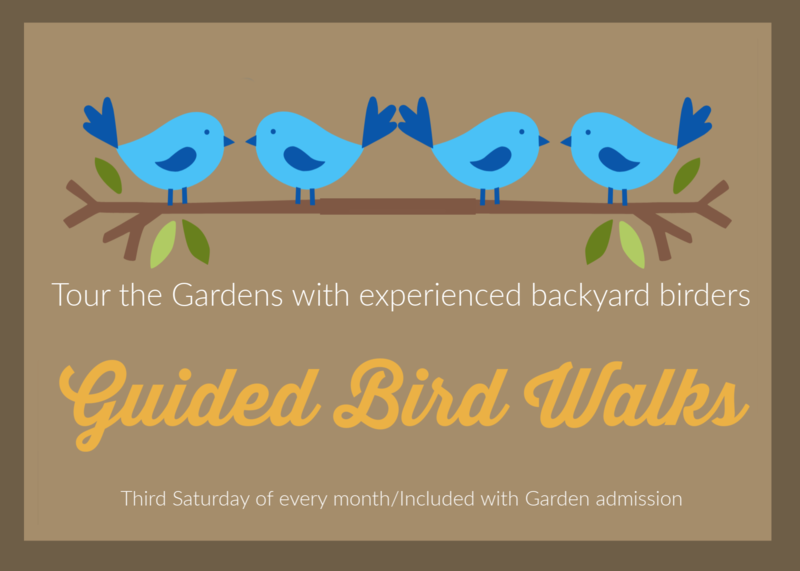 Come enjoy watching birds with us! 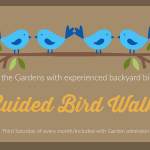 You’ll learn keys to bird identification, where you can look for wild birds in your neighborhood, how to make your own backyard a habitat for wild birds, and more. This monthly meetup is included with garden admission.